Hi. 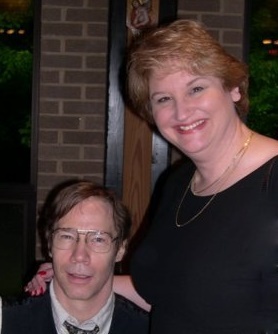 I’m Sue A. Howland, owner, with my husband, Ken Archer, of Bizans Turkish Angoras. We hope you fall for this ancient, beautiful breed as hard as we have! As bowled over as I was by their huge plume tails, beautiful ruffs around their necks, and their adorable britches (longer fur on the backs of their hind legs), what I was totally charmed about the Turkish Angora cat is the role they play in the country's history and traditions. Many TA breeders know a bit of the lore about the Turkish Angora having to do with Mohammed and Turkey's own history, but they don't know how reverently it was held (at least when I lived there). The story is that Mustafa Kemal Ataturk, the founder and first President of the Republic of Turkey, is expected to be reincarnated as a white Turkish Angora cat with one blue eye and one green eye and bite the heel of the next great leader of the country. Now, the next part is unknown to most TA breeders: For the longest time I couldn't understand why many men in Ulus (the medieval part of Ankara -- then Angora) and villages wrecked their perfectly good shoes. They bent the shoe backs forward and walked on them under their heels, turning the shoes into slippers or clogs! Finally I was informed by a Turkish friend and instantly enchanted: Those men (because, of course, it could only be a man! ), ready to be of service to their national hero, faithfully expose their heels, inviting the bite of that one special odd-eyed white cat -- just in case they are Ataturk's Chosen One! So I just had to have an odd-eyed white Turkish Angora! Ken and I met in 1996 through his cousin Jenny, my dear friend who was a teacher in the International School, 15 years before, when I worked in the Embassy in Dar es Salaam, Tanzania (East Africa). Ken and I married in 2000. He was a bit jealous of the devotion Ayshe showed me (hey, she'd been with me for 11 years already!) so over several months' time we fostered about 30 rescue mom-cats and kittens before settling down with our two beloved girls, Fraley, a long-haired tuxedo, and Swiz, a short-haired tortie bicolor. Swiz happily lives on with us. When Ayshe died on September 13, 2006, Ken researched online and put me in touch with Barbara Azan, of Azima Turkish Angoras, as she had been breeding TAs, by that time, 37 years -- longer than any other Turkish Angora breeder in the world, outside of Turkey. In a few days I found myself in Pennsylvania sitting cross-legged on Barb's living room floor being climbed and loved on by a host of stunningly beautiful Turkish Angoras. Barb and I quickly became good friends. And Barb was right: as enamored as I was of odd-eyed whites, I would and did fall equally head-over-heels in love with the color versions of the Turkish Angoras. There are so many, and they all have their charms and looks -- some of which change over time, rather like a kaleidoscope in slow motion! We got Kiri with the intention of breeding her and having her forever as my "heart cat" and perhaps becoming full-fledged breeders "someday." I asked Barb to help me fulfill my nearly 4-decades-long yearning (!) to become a TA breeder and begin mentoring Ken and me, and we had a few small litters, first with one of Barb's momcats, then Kiri, and then with cats we co-owned with Barb. I attended several cat shows with her and visited other catteries. Tragically, that "someday" of becoming serious breeders came much sooner than we could have anticipated as Barb's health deteriorated and she passed away from complications from kidney failure November 17, 2008, having entrusted to me the awesome (in the old sense of the word) responsibility of caring for her beloved cats and her bloodline -- indeed, her life's work. I knew the breed is rare, but in the next few days I learned of the diminishing gene pool of Turkish Angoras, especially here in the U.S. So to honor Barb and the treasure she had left in my hands, and hoping to preserve and contribute to the gene health of Turkish Angoras, Ken and I carefully deliberated and committed ourselves full time to continuing Barb's bloodline, a commitment we share with the breeders who now also have some of Barb's beautiful cats. Ken and I consider our having Barb's cats a sacred trust, and we accept the responsibility humbly, soberly, and wholeheartedly. We want to do whatever we can to work with other breeders to benefit the breed and to share with pet owners the wealth of love, devotion, and affection that these extraordinary, beautiful cats shower on their people. The first word Barb always used to describe her cats was "elegant." She wanted her cats to be beautiful, sleek, tall, long, and lean -- refined; have big, bright, almond-shaped eyes; large ears set close together and high on the head; the profile to have two distinct planes, no dip in the nose or domed forehead. Looks are one thing. Of equal importance to Barb was temperament. I suspect that there is a "love gene," and Barb worked hard to see that her cats got it in spades! Her cats are known to be SUPER sweet and, like all TAs, VERY intelligent, playful, even clown-like at times. Ken and I have our work cut out for us to keep these traits going strong as we outcross for a healthy gene pool, but we will give our utmost to do just that -- for Barb and the future of these elegant creatures. Barbara E. Azan, Azima Turkish Angoras, my beloved mentor, for her generosity of spirit, wit, wisdom, and experience and for entrusting to me her precious babies. Barb's sisters, Nancy Chizik and Judy Kudzin, for supporting me in carrying out Barb's wishes and for facilitating all the legalities necessary to transfer to me everything related to Barb's cats. Kit Goodwin, Antioch Turkish Angoras and Savannahs, for accepting Barb's request to help me with the daunting tasks of placing several of Barb's cats to trusted breeders and transferring registrations, registering new litters and cats; becoming my new mentor, spending the COUNTLESS hours of instruction and advice about breeding and exhibiting -- these most serious parts of the cat fancy; and most importantly for her friendship. Karen Delmont, HylanderClan Turkish Angoras, for the bond we share that began when she sent me the new light of my life, my beautiful Kiri, after Ayshe died; strengthened during trips to Barb's and helping me exhibit Kiri's son at my first cat show that Barb was too ill to attend; and deepened through the events surrounding Barb's death and to today. We both still grieve. Kathryn Amann, of KatsNjazz Cattery, for offering at the very beginning of our cattery the most stunning green-gold-eyed white boy to be our foundation male, our KatsNjazz Love Walked In of Bizans, for her generosity, for continuing with fantastic advice and suggestions on showing our cats, and for becoming my friend. I can't believe we have yet to meet in person! Charmaine Keller, Blue Skies Creative Group, a client of Barb's and now a friend of mine, for designing our logo (I LOVE it!) and starting a new, complete, beautiful website (the website soon to be unveiled); handling our advertising for us (all of which are in process); and for taking on the project of turning Barb's Azima website into a memorial and library (after our permanent website is up). Janet Booth, of CFA, for her sensitivity and compassionate yet pragmatic instruction and assistance beginning November 17, 2008, to keep all of Barb's cats "legal," and her patience in personally handling CFA litter and cat registrations ever since. Update: Janet passed away in 2010, before I got the chance to thank her in person for all of her help with Barb's cats. I will continue to thank her in spirit. And thank you to all of the other new friends I've made since Barb died. Some saw me through the sad times, others are turning all of this "show business" from a necessary evil into something that is (slowly) becoming downright fun! I hope you enjoy this website and that it sparks in you the beginnings of a love affair with Turkish Angoras! 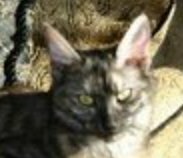 Barb arranged for me to get my new love, Kiri, a tortie (tortoiseshell) smoke, from Karen Delmont, of HylanderClan Turkish Angoras, in Jacksonville, Florida. Karen is now my dear friend as well.